Elbit Systems of America, LLC is a U.S.-based wholly owned subsidiary of Elbit Systems Ltd., a leading global source of innovative, technology based systems for diverse defense and commercial applications. Mr. Horowitz was named President and CEO in 2007 after serving as Executive Vice President and General Manager of EFW, Inc. In his current role, Mr. Horowitz leads the strategic and operational direction of the company, and serves as a member of its Board of Directors. 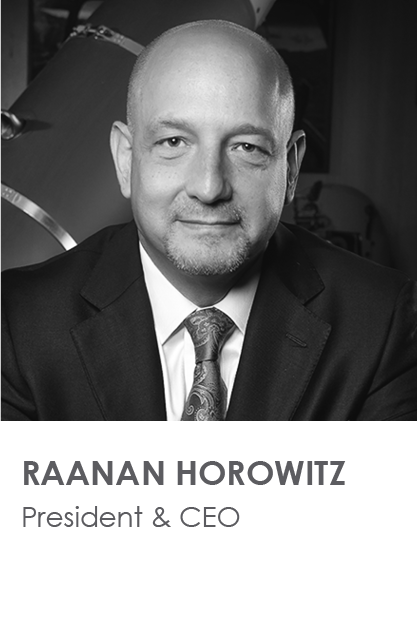 During his tenure with the company, Mr. Horowitz has been instrumental in driving its organic growth and strategic acquisitions. 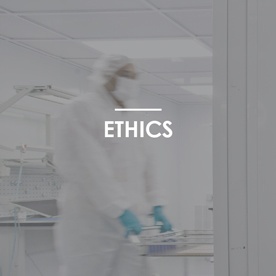 The company now operates in six major geographical locations in the United States, including Texas, New Hampshire, Virginia, Alabama, Mississippi, and Florida; and is involved in developing, manufacturing and sustaining innovative solutions for critical missions and needs. Mr. Horowitz is active in the defense and aerospace industry. He serves on the Executive Committee of the Board of Governors of the Aerospace Industries Association and is a member of Business Executives for National Security. Previously, he served as a member of the United States Army Science Board. Mr. Horowitz is also the Chairman of the Texas Israel Science and Education Foundation. Mr. Horowitz received a Master of Business Administration from the Seidman School of Business at Grand Valley State University in Allendale, Michigan. He was also awarded a Master of Science degree in Electrical Engineering and a Bachelor of Science degree in Mechanical Engineering from Tel-Aviv University in Israel. In this role, he provides insight into the organizational performance for the company. 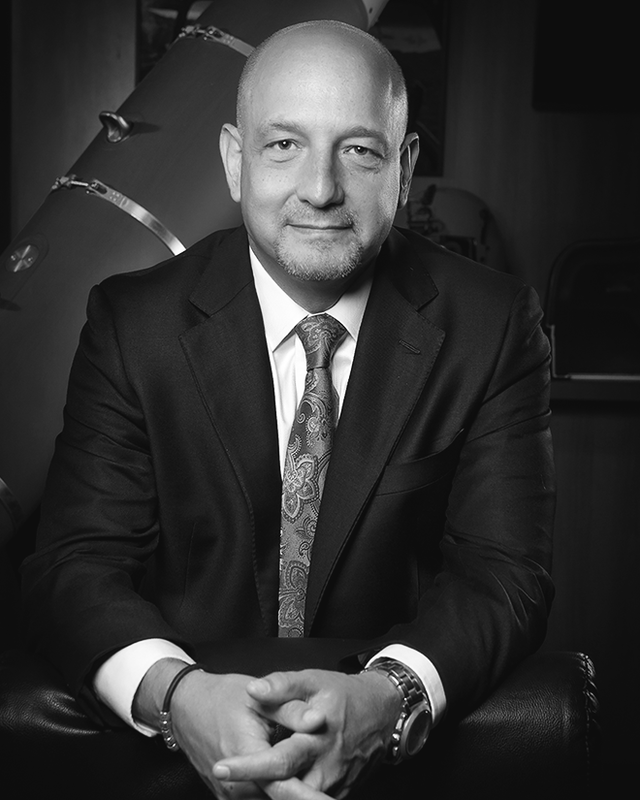 Mr. Cohen’s expertise in talent management enables him to develop strategies that attract and retain key talent, from recruitment and development to succession planning. 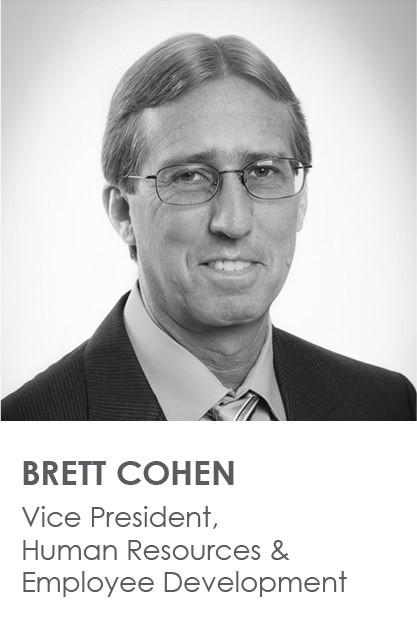 With over 20 years of experience leading human resource departments in the defense, telecommunications, financial services, and transportation industries, Mr. Cohen creates a culture of innovation for Elbit Systems of America. Mr. Cohen began his career in various business units within Verizon, to include GTE Telephone Operations, GTE Directories, and PrimeCo Personal Communications. His final position was director of employment. He then spent eight years at AmeriCredit serving in various capacities, including senior vice president of human resources, executive vice president of human resources, and executive vice president of loan services. Before joining Elbit Systems of America, he served as the interim vice president for human resources, Dallas Area Rapid Transit. Mr. Cohen holds a Bachelors of Arts in Psychology from the University of Arizona and a Master of Science in Industrial and Organizational Psychology from Texas A&M University. 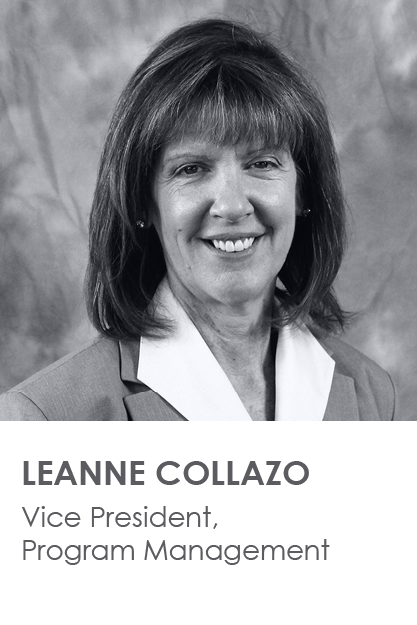 Leanne Collazzo is a seasoned executive with over 25 years of experience in the Aerospace and Defense industry. In her current role, Leanne is responsible for Program Management across the enterprise, with oversight of processes, training, and improving program performance through implementation of best practices. Leanne has led various businesses throughout the industry, serving with Honeywell and Parker Hannifin prior to joining Elbit Systems of America. Prior to assignment in her current role, she led Elbit System of America's Commercial Aviation Solutions Business Unit. 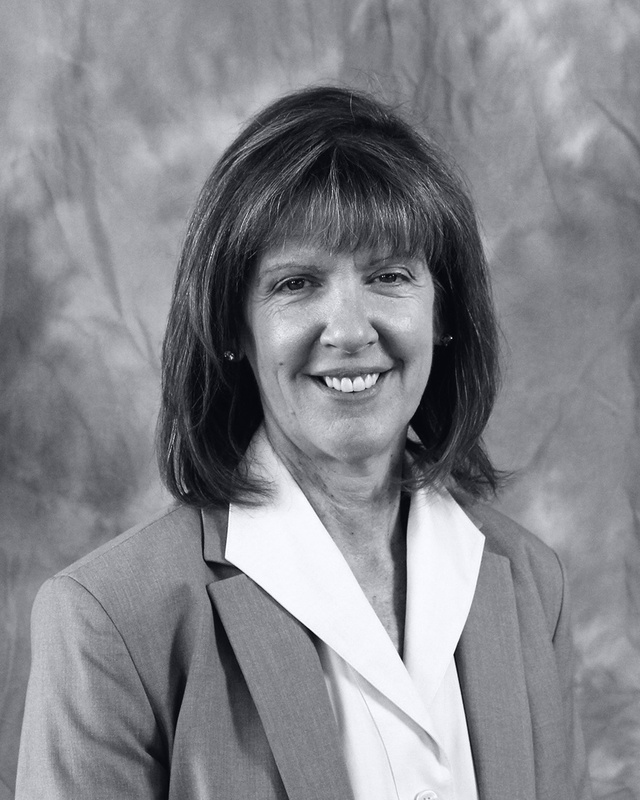 She has served as General Manager for a Joint Venture between Parker Aerospace and General Electric to produce aircraft engine components for transport category and business aircraft. Other roles include Director of Honeywell Rotorcraft Systems where she had profit and loss responsibility for a widely varied portfolio of systems on military helicopter platforms. She has held roles in Engineering, Business Development, and Operations. She is a certified Program Management Professional and Six-Sigma Green Belt. Leanne is a graduate of the United States Military Academy, West Point, NY, and retired as a Lieutenant Colonel from the Army National Guard where she was a UH-60 Pilot and Battalion Commander. 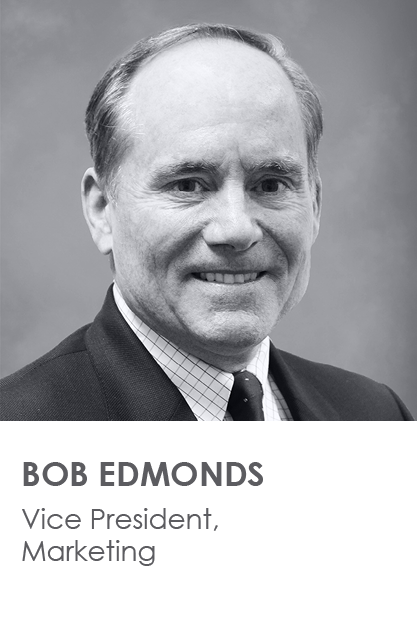 Bob Edmonds is responsible for the growth of the company, leading all marketing activities, which includes integrating and aligning business development, strategy, corporate development, and strategic communications. His team works closely with the lines of business supporting growth and development. 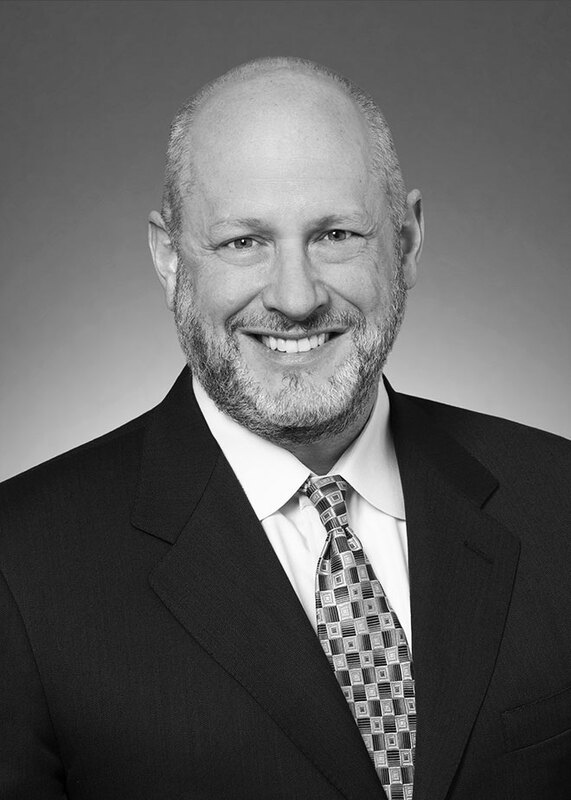 Prior to joining Elbit Systems of America, Mr. Edmonds was a Vice President at Exelis, Inc. where he led business development and government relations functions as well as the Air Force programs for the $3.5B aerospace and defense company. He joined Exelis from Syndetics, a management consulting firm specializing in strategy, capture, and proposal management in the government aerospace and defense sector. 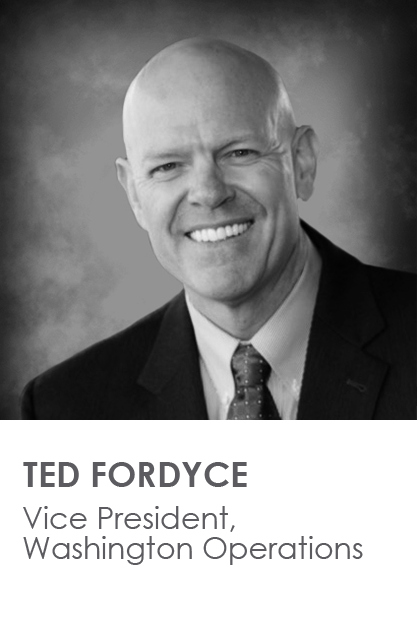 Previously, he was a senior member of Aerospace, Defense, and Aviation practice at Heidrick & Struggles International, a global executive recruiting and leadership consulting company. Mr. Edmonds joined Heidrick after a successful career in the United States Air Force, culminating with the rank of Brigadier General. He is a command pilot with over 2500 flight hours and 300 combat hours, having led 42 combat missions during Operation Desert Storm. During his career, Mr. Edmonds commanded at the F-15 flight, squadron, and wing level and also served in multiple senior operations and policy positions in the Pentagon. In addition, he has worked as a White House Fellow and as the lead for Air Force congressional affairs for both the House and the Senate as Deputy Director for Legislative Liaison. Mr. Edmonds was born and raised in Charlotte, North Carolina. After graduating from the Air Force Academy with a Bachelor of Science in Chemical Engineering, he earned a Master of Science of Chemical Engineering as a Guggenheim Fellow from Columbia University. He also holds a masters degree in National Security Strategy from the National War College, and completed an executive education program at Harvard’s Kennedy School of Government. Mr. Edmonds is a Falcon Foundation Trustee and a past president and board member of the White House Fellows Foundation and Association. Mr. Fordyce leads Elbit Systems of America’s Washington, DC office and serves as the company’s liaison to the White House, U.S. Congress, Department of Defense, Department of Homeland Security and other executive and legislative offices. He maintains close working relationships with the leadership and government relations staffs of Elbit Systems of America’s industry partners. Additionally, Mr. Fordyce is active in numerous industry, military and government organizations. Mr. Fordyce is a United States Air Force veteran with over 27 years of service, most recently serving as the Director, Legislative Affairs for the United States Special Operations Command. He also served as Vice Wing Commander for the 1st Special Operations Wing, Hurlburt Field, FL where he led, organized, trained and equipped the Air Force’s largest and most diverse Wing. Previous military assignments include Senior Military Assistant to the Assistant Secretary of Defense for Special Operations/Low-intensity Conflict and also Chief of the Commander's Action Group for Air Force Special Operations Command. Mr. Fordyce also served as Commander, 16th Special Operations Squadron where he accomplished global special operations as part of the Air Force component of United States Special Operations Command. Mr. Fordyce has numerous combat deployments to Iraq, Afghanistan and other locations around the world. He also served as Senate Liaison Officer for the Secretary of the United States Air Force and Chief of Staff. In this role he directly supported the Secretary of the Air Force, Senior Civilian and military officials and other governmental and non-governmental agencies on legislative budget affairs and congressional relations. Mr. Fordyce earned his Bachelor of Science Degree from the Citadel and a master degrees from both Troy University and the Naval War College. Mr. Gans plays an integral role in developing and executing the company’s corporate development and growth strategies, aimed at expanding the company’s portfolio of capabilities to better serve current and future customer needs. In this role, he oversees the development and execution of the company’s corporate growth strategies in the U.S. market. He leads key initiatives in the areas of mergers and acquisitions, market analysis, business strategy development, and strategic partnerships. Mr. Gans’ career spans more than 20 years of service with the aerospace and defense industry and military. Prior to joining Elbit Systems of America, he was the Director of Sector Portfolio Development for Northrop Grumman Aerospace. In this capacity, he oversaw mergers, acquisitions and alliances. While there, he played integral roles in the acquisition of several domestic and international companies. Before joining the Aerospace and Defense industry, Mr. Gans worked in the investment banking industry and also served as a U.S. Navy SEAL with multiple deployments. He graduated from the U.S. Naval Academy with merit, and earned a Master of Business Administration from the Institute of Management Development in Switzerland. y of Missouri and is a graduate of the Executive Development Program at Kellogg Graduate School of Management, Northwestern University. He is a Certified Public Accountant, Certified Management Accountant, and is certified in Financial Management. 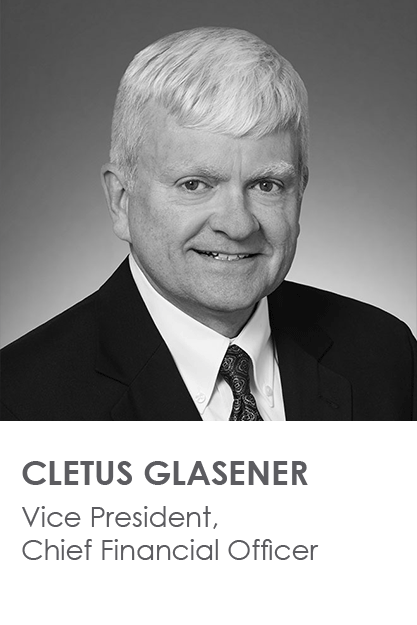 Cletus Glasener is responsible for all Controllership and Treasury operations of Elbit Systems of America. 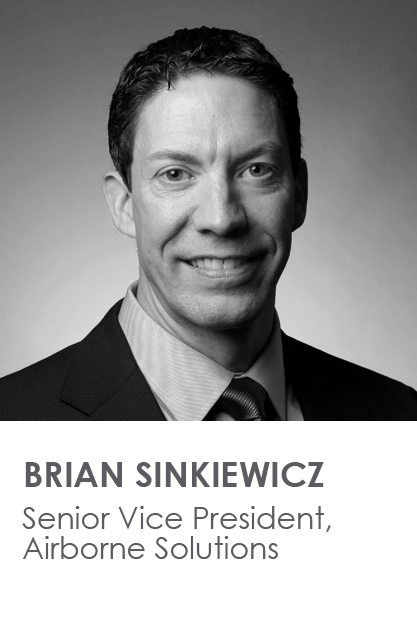 He brings extensive aerospace and defense financial management experience to the position. 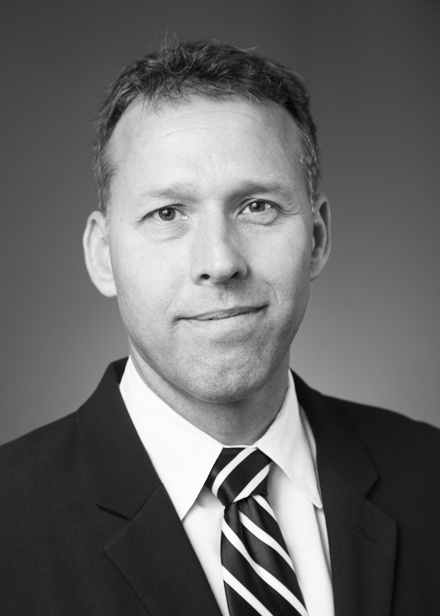 Prior to being named Chief Financial Officer of Elbit Systems of America, Mr. Glasener was the Vice President of Finance and Chief Financial Office of L-3 Communications – Vertex Division. Vertex is a $1.4B operating unit of L-3 Communications with over 11,000 employees providing Contractor Logistics Support and Contract Field Teams to customers worldwide. 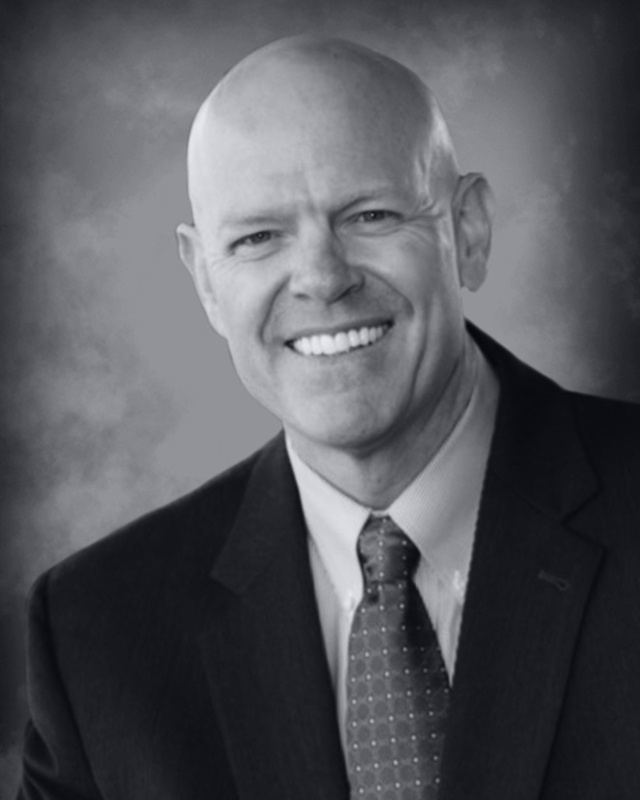 Prior to joining L-3, Mr. Glasener was recruited to Collins Industries in 2005 as their Chief Executive Officer. He successfully led a turnaround effort, completed a Security and Exchange Commission investigation and sold the company in seventeen months realizing more than a 150% return to the shareholders. Prior to joining Collins Industries, Mr. Glasener spent more than 20 years with Vought Aircraft Industries where he served as the Vice President, Corporate Controller and Treasurer. He was also the Principal Financial and Accounting Officer responsible for certifying Security and Exchange Commission financial filings. His successes include several debt refinancings, a public debt offering, post-acquisition integrations and creation of a centralized shared service finance and accounting center. Mr. Glasener began his career with McDonnell Douglas as a Pricing Administrator preparing Fiscal Year and Major Engineering Change Proposals for the F-15 program. 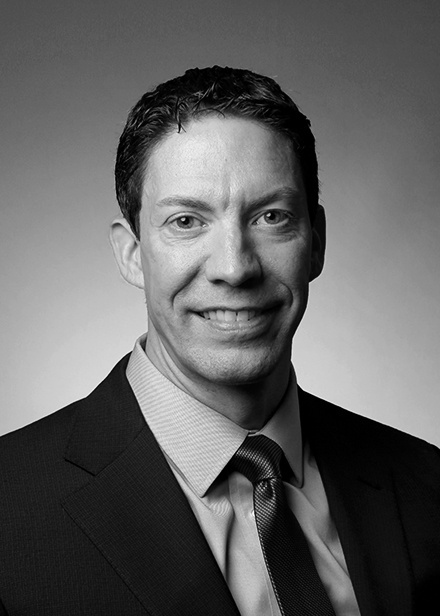 Mr. Glasener has a bachelors degree in Economics from Washington University in St. Louis, a Master of Business Administration from University of Missouri and is a graduate of the Executive Development Program at Kellogg Graduate School of Management, Northwestern University. He is a Certified Public Accountant, Certified Management Accountant, and is certified in Financial Management. 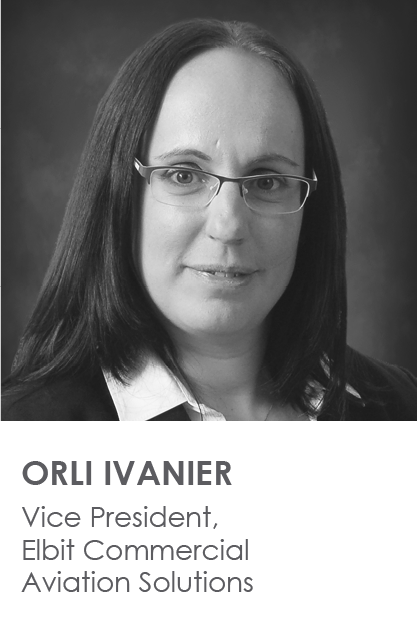 Ms. Ivanier has been at Elbit Systems for over 10 years and prior to becoming Vice President, Elbit Commercial Aviation Solutions, was Program Director of Commercial Aviation in Elbit Systems Ltd. in Israel, responsible for programs in the United States, Europe, and Brazil. She has 15 years of management experience in the military and civilian industry. Her previous experience at Elbit Systems also includes engineering management of large software and system development groups. She was responsible for the overall development in parallel to roadmap and development strategy definition. 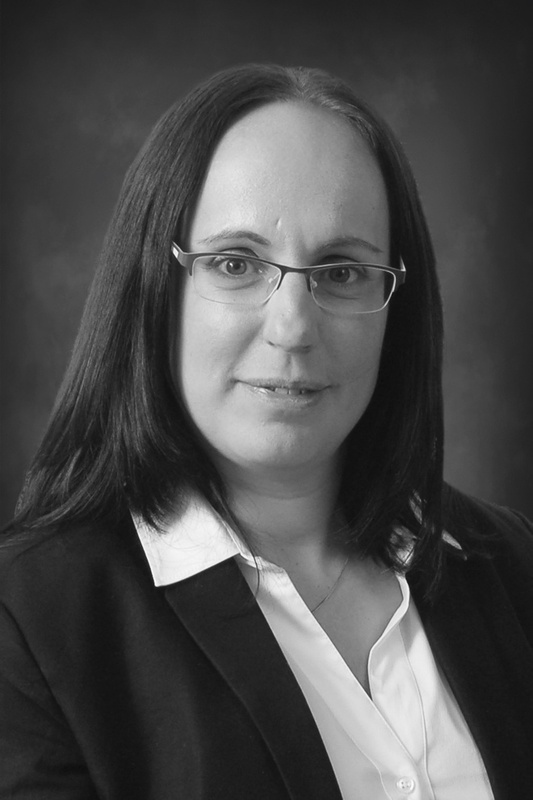 Before joining Elbit Systems, she worked for Rafael Advanced Defense System Ltd. as a manager in the engineering department responsible for embedded software development. She holds a Master of Business Administration with distinction from Open University and a Bachelor of Science in Computer Science from Haifa University. Mr. Hickey has more than 25 years of experience in the aerospace and technology industries including a diverse background in defense, civil, and international markets with a record of high impact successes in profit and loss management, business development, mergers and acquisitions, corporate integration, and government relations. He previously held the position of Executive Vice President, Operations for QinetiQ North America. 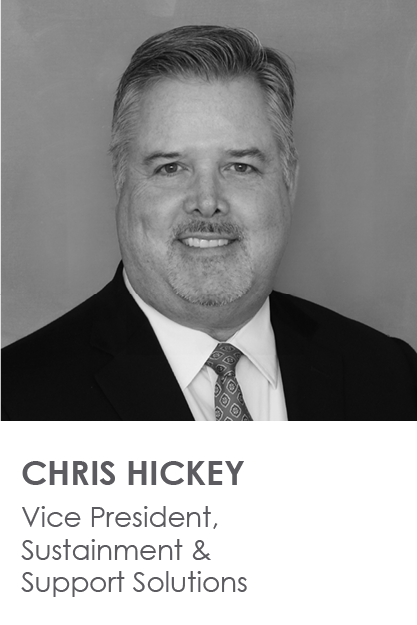 Mr. Hickey served as Executive Vice President, International Operations and President of QinetiQ, Inc. where he was responsible for international business operations with particular focus on realizing the synergies within the global enterprise of the QinetiQ Group. Mr. Hickey joined QinetiQ as Executive Vice President, Business Development before assuming the same role at the QinetiQ North America operations. 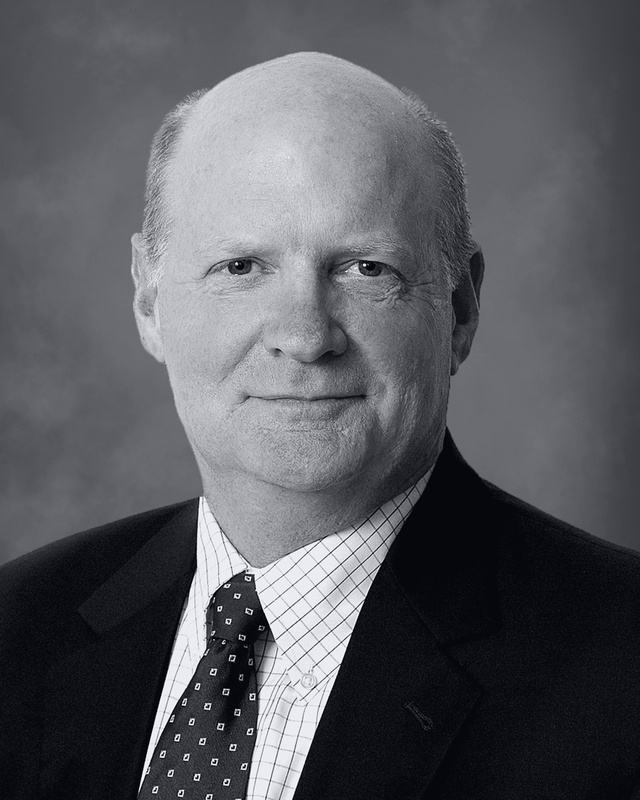 Prior to the QinetiQ Group, Mr. Hickey served as Vice President, Homeland Security for Honeywell International. While at Honeywell, he led multi-million dollar civil and military turbine engine business units in domestic and international markets. He also held a number of positions in engineering, finance, government relations, sales, and marketing. Mr. Hickey holds a Master of Business Administration from Arizona State University and a Bachelor of Science degree in Aerospace Engineering from the University of Notre Dame. He completed the Program for Senior Executives in National and International Security at the JFK School of Government at Harvard University and the Program Management Course at the Defense Systems Management College, Fort Belvoir, Virginia. 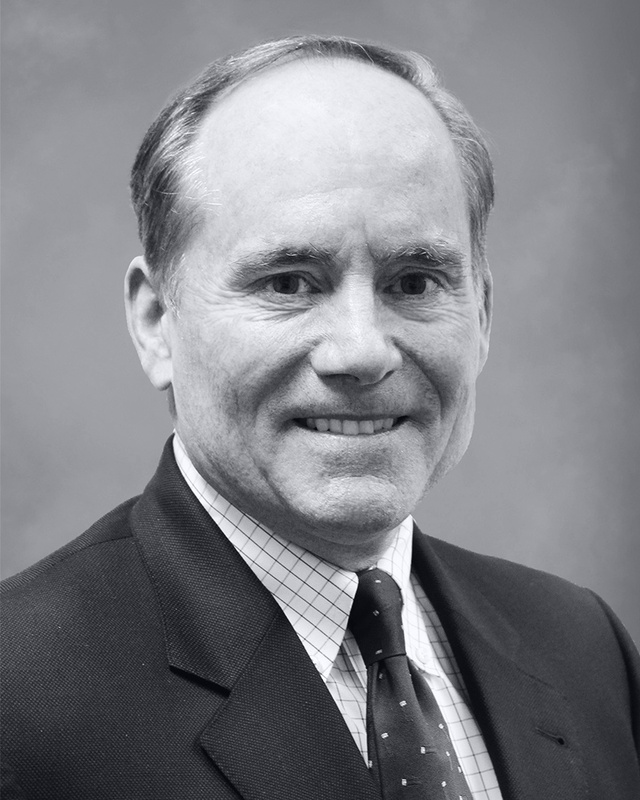 Mr. Hickey is active in several associations; he served on the Board of the Washington Chapter of the National Defense Industrial Association and was the chapter president in 2012. 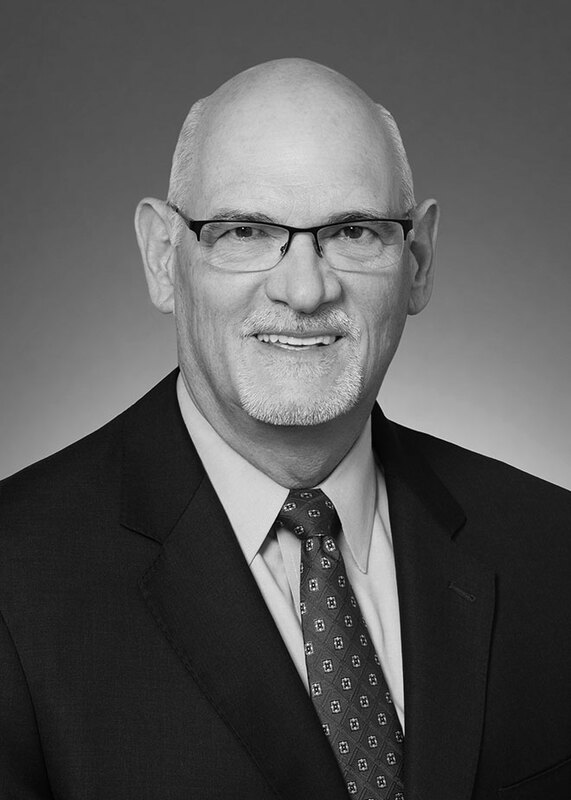 Mr. Jellison has been at KMC Systems for over nine years and prior to becoming Vice President, was the Executive Director of Business Development. 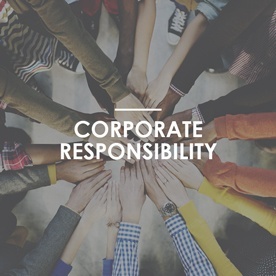 In that role, he had responsibility for all sales and marketing activities associated with securing new business and improving existing customer relationships. 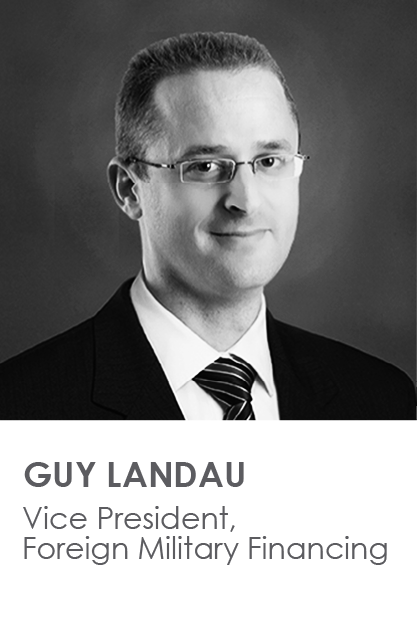 He has 20 years of management experience in the contract design and manufacturing industry. Prior to KMC Systems, he was the president of a mid-size global electronics contract assembly company with locations in the United States, Scotland and Mexico. As president, he managed expansion strategies involving “green field” start-up operations and site acquisitions. The total size of the company upon his departure was $120 million in annual sales with 400 employees worldwide. Mr. Jellison started his career with General Electric Company in their Financial Management Program (FMP) and spent the first seven years of his career with various companies in financial management roles before moving into sales and marketing. 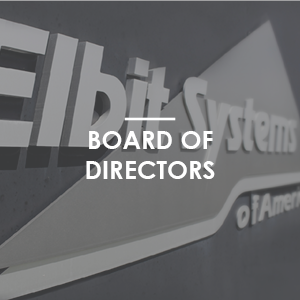 He continues to work closely with Elbit Systems of America’s management team to outline strategic growth initiatives that include service capability enhancements, as well as, regional expansion growth through potential acquisition strategies. 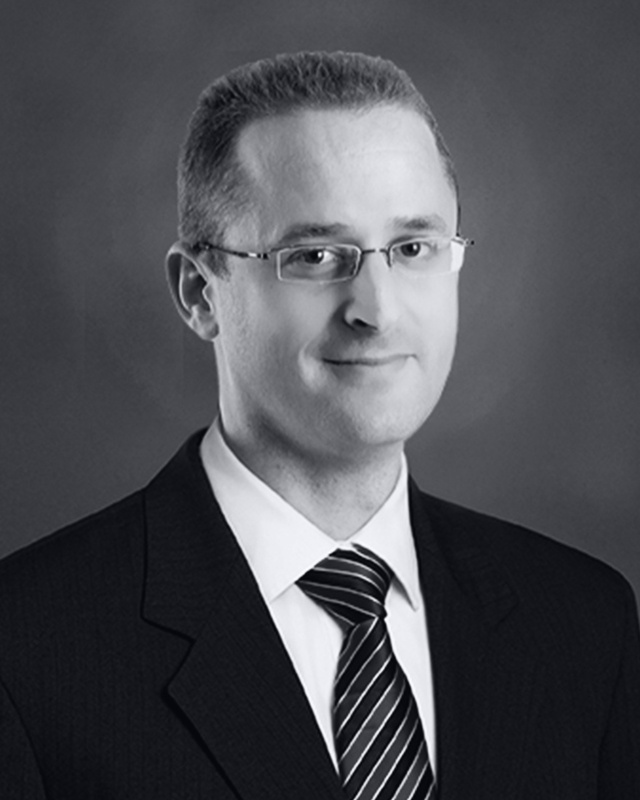 Mr. Jellison has a Bachelor of Arts degree in Economics from Harvard University. Mr. Landau is responsible for all foreign military financing activities in the company. 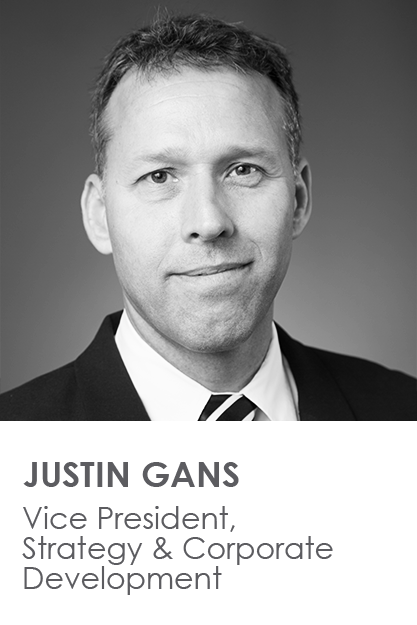 He brings extensive defense and aerospace management experience to the position. Prior to being named the Vice President of FMF, Mr. Landau was a Senior Director of Business Development and Marketing at Elbit Systems Land & C4I division in Israel, responsible among other duties, for the company’s strategic process. Prior to joining Elbit Systems, Mr. Landau worked at Soltam Systems as a Marketing Director leading some of the company’s major marketing efforts. Earlier in his career, Mr. Landau was a project manager at the LR group, running a turnkey UAS squadron as a Personnel Force Innovation program. Mr. Landau holds Bachelor of Arts degree with honors in History, Management and Security studies from The Hebrew University of Jerusalem, Israel, and Master of Business Administration from the Tel-Aviv University, Israel. Mr. Landau is a Major in the Israeli Defense Force Artillery Core, serving as an Artillery Battery commander in his last active role, and as Brigade Operations officer in reserve. Mr. Landau is also a graduate of the Israeli Military Academy. 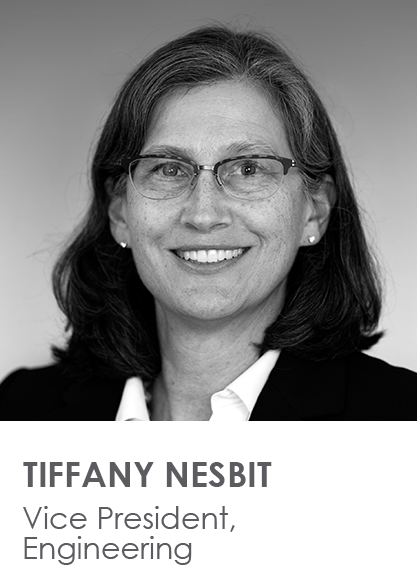 Tiffany Nesbit has been working in the Aerospace Industry for over 25 years in a variety of Research & Development leadership roles. She has worked in all phases of development across Space, Military and Commercial Aerospace programs in a range of technical areas including Systems, Software, Hardware and Test Engineering. Prior to joining Elbit Systems of America, Ms. Nesbit worked at Honeywell Aerospace. She held multiple engineering leadership roles with increasing span of control and responsibility. For four years, she lived in Shanghai and worked for Honeywell China as Director of Engineering interfacing with COMAC on development of the C919 airplane. In this role, Ms. Nesbit helped translate customer needs into a system architecture and provided connectivity between the team in China and product development in North America. As part of a growing China Engineering organization, Ms. Nesbit provided guidance and mentoring to help develop skills and capabilities in the local team. She was also the Engineering Representative on the Flight Controls Joint Venture Formation Team, helping to negotiate the agreement and launch the joint venture company. Before moving to Shanghai, Ms. Nesbit led the Aerospace Software Center of Excellence, an organization of over 250 engineers across eight U.S. sites and three different countries. During her tenure, the organization consolidated use of operating systems and processes to streamline software development and foster closer collaboration across borders. She also worked with the business team to license two internally developed Real-Time Operating Systems to generate additional revenue from an existing IP. 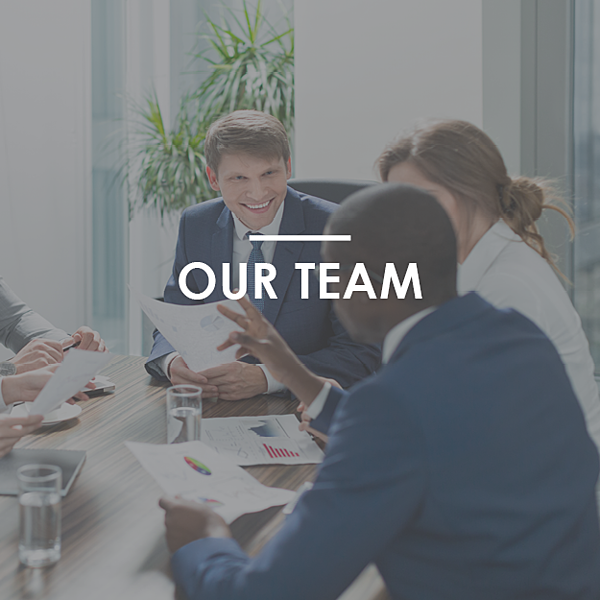 In addition to organizational leadership, Ms. Nesbit is a Certified Project Management Professional and has led large cross-functional development teams to execute complex technology products. Ms. Nesbit holds a Bachelor of Science in Aeronautics and Astronautics from the Massachusetts Institute of Technology and a Master of Science in Aerospace Engineering from the Georgia Institute of Technology. 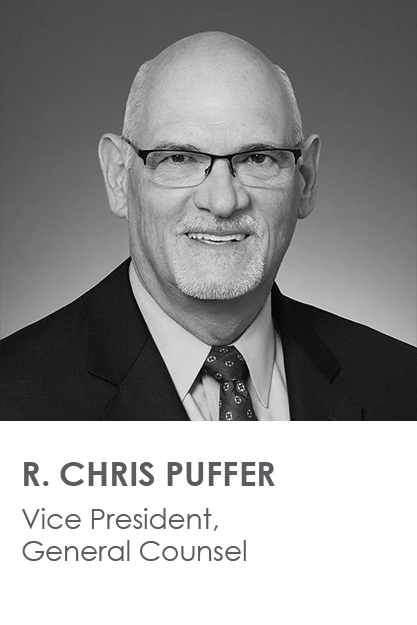 From February 2007 until his current appointment, Chris Puffer has served as General Counsel for Elbit Systems of America’s Airborne and Land Solutions business units. Immediately prior to joining Elbit Systems of America, Mr. Puffer served as Assistant General Counsel for McAfee, Inc. from 2002 until 2007. 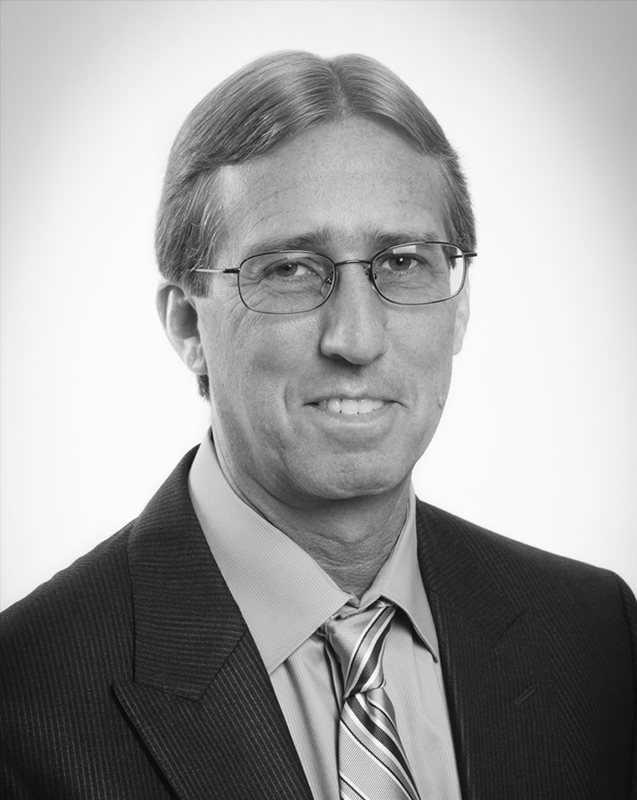 In 1993, Mr. Puffer joined Hughes Training, Inc. and became its Vice President for Contracts and Legal Affairs. Prior to Hughes Training, Inc., Mr. Puffer joined Doke & Riley in 1987, a private law practice in Dallas, Texas, where he specialized in government procurement matters. 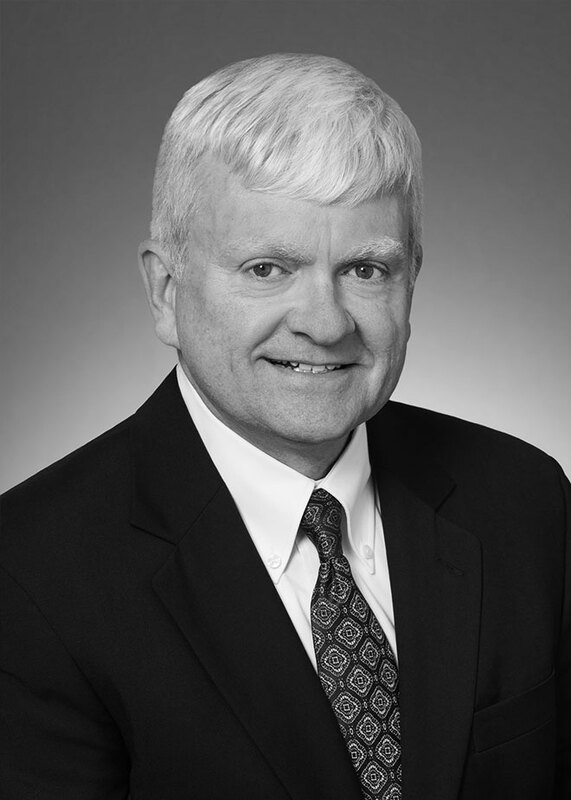 Mr. Puffer began his legal career in 1980 with the U.S. Army JAG Corps, specializing in government procurement matters while serving at the Armed Services Board of Contract Appeals and as a Trial Attorney for the Army Contract Appeals Division. Mr. Puffer received a Bachelor of Business Administration from Eastern Kentucky University and his Juris Doctorate from the University of Kentucky Law School. Mr. Puffer also serves as a volunteer mediator for Dispute Mediation Services, Inc. in Dallas, Texas. 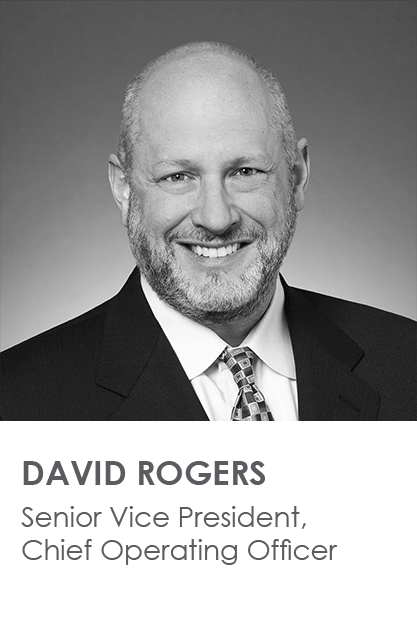 Mr. Rogers comes to Elbit Systems of America from MMI Holdings, a Kohlberg Kravis Roberts & Co. portfolio company headquartered in Singapore. In this capacity, he served as the Managing Director of the Industrial Manufacturing Group, overseeing businesses throughout Southeast Asia and China focused on oil & gas, aerospace and hard disk drive industries. He worked as Executive Vice President of Strategy and Business Development at Dubai Aerospace Enterprise, a global aerospace manufacturing and services corporation where he led the $1.8 billion acquisition of Standard Aero and Landmark Aviation. In the past, Mr. Rogers also had increasing areas of responsibility at Honeywell Aerospace where he was the Vice President and General Manager of the Electronics and Lighting. 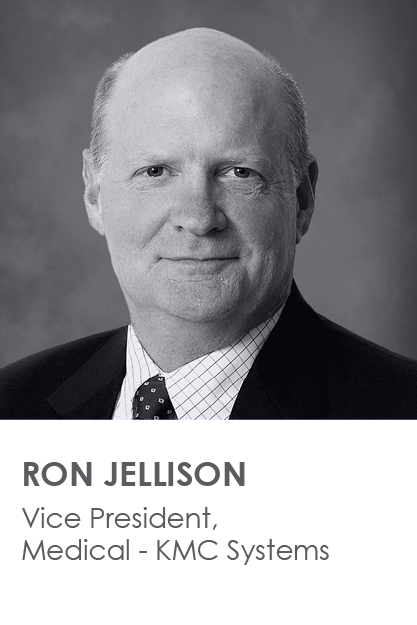 His prior role with Honeywell included Vice President of Strategy and Integration for the electronics business unit where he established a circuit-card assembly outsourcing strategy and resulting factory consolidations. He holds a Master of Business Administration with Distinction from Carnegie-Mellon University and a Bachelor of Science with Honors in Industrial Engineering from the Rochester Institute of Technology. 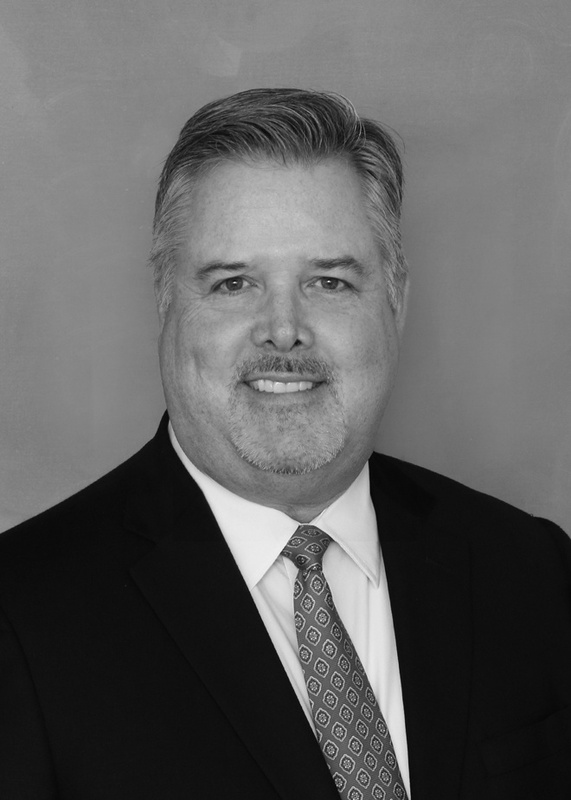 Mr. Rogers started his career with the management-consulting firm Pittiglio Rabin Todd & McGrath and, based upon his proven client and business unit results, was rapidly promoted to partner in 2001. He has a proven track record in managing global businesses focused on the creation and improvement of global supply chains along with strategic formulation and execution. Mr. Sinkiewicz has more than 20 years of experience in the aerospace and defense industry serving both domestic and international customers, providing capabilities in the areas of Integrated Air/Missile Defense, Advance Ground Munitions, C4ISR Capability, Precision Munitions, and Aircraft System/System Integration. Mr. Sinkiewicz’s experience and background is in the area of Contract/Subcontract Management, Program Management, Program Capture Management, Business Development, P&L Management, New Product Development, and Strategic Growth. He previously held the position of Senior Vice President and General Manager of the Weapon and Sensor Systems Division for Textron Systems Corporation where he managed a diverse portfolio of integrated systems in the areas of both Tactical and Strategic Weapon Systems, Advanced Ground Munitions/Sensors, Countermeasures, and Advanced Materials. Additional leadership roles Mr. Sinkiewicz held with Textron Systems include Vice President, Precision Weapon Systems, where he oversaw new product development; Vice President, Area Weapon Systems and the Sensor Fuzed Weapon system, an advanced U.S. Air Force anti-armor capability provided to key partner nations. In addition to his Textron Systems experience, Mr. Sinkiewicz served as the Manager of International Program Contracts for Raytheon Company, responsible for Saudi Arabia and East/West Operations and supporting $1.4 billion in annual sales. Mr. Sinkiewicz holds a Master of Business Administration from Northeastern University and a Bachelor’s Degree in Business Administration from Bryant University.